Whiskey Cherry bounce, a delicious infusion of sour or sweet cherries, alcohol and sugar, and preserved for drinking during the darker months, was originally created as a way to tastily use the seasonal fresh cherry harvest. Michigan cherry farmers traditionally put by some of their sour cherries this way to enjoy later. Technically a cordial, the liqueur is rather simple to prepare at home, and although true fruit flavor can be difficult to capture, most bounce consumed is the homemade version. 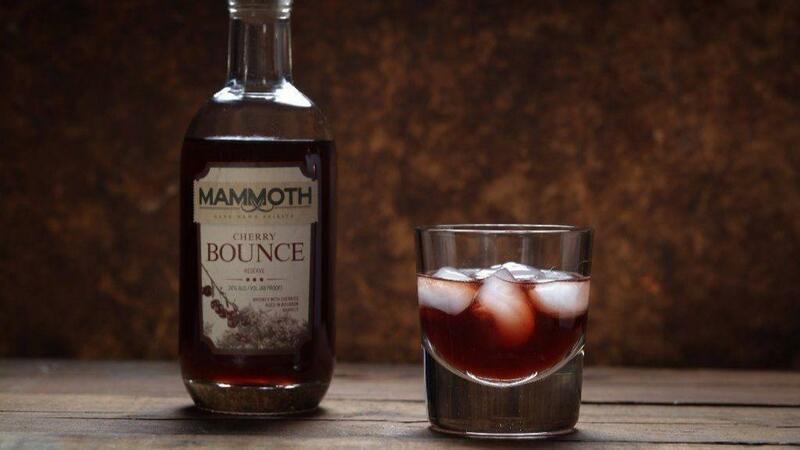 Mammoth Distilling in northern Michigan makes a delicious 48-proof version from tart Montmorency cherries. They include some of the pits in the maceration process, an addition that deepens the flavor, adding an almondy note from the kernels (known in French as noyaux). Stone fruit pits (peaches, apricots, cherries, etc) contain that intense, bitter almond extract flavor familiar from drinks like amaretto, which adds complexity to the final product. Mammoth distills a complete line of whiskeys and other liquors (it is best known for its Woolly Rye) and offers tours of the production facility, plus runs tasting rooms in Central Lake and Traverse City. The distillery started making Cherry Bounce, which is not fermented or distilled, because locals kept telling the owners stories about family recipes and fond memories of the drink. “When you open a distillery, local moonshiners show up at your doorstep about once a week to show you Mason jars of their offerings,” Chad says. That spirit, if you will, convinced Munger it was time to make bounce. Mammoth takes picked-that-day cherries from Shooks Farm in Torch Lake and soaks them in whiskey for three to four months. 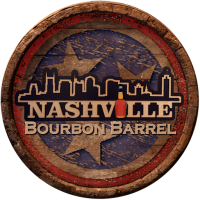 In early November, the mixture is crushed up, with the pits left in, and transferred to used bourbon barrels to age for another month or two. It gets spiced, then sweetened with a clove-infused simple syrup to smooth out the flavor. Cherry Bounce is as much fun to drink as it is to say, and in winter months it can be sipped neat by a fire after dinner or poured over ice cream. It makes a delightful substitute for sweet vermouth in classic cocktails — a cherry Manhattan or Negroni, for instance, or a Martinez. Push the fruity limits a little further by combining the liqueur with rum and lime juice for a Montmorency daiquiri, a northern Michigan version of a Caribbean cocktail. For buying information, go to www.mammothdistilling.com.